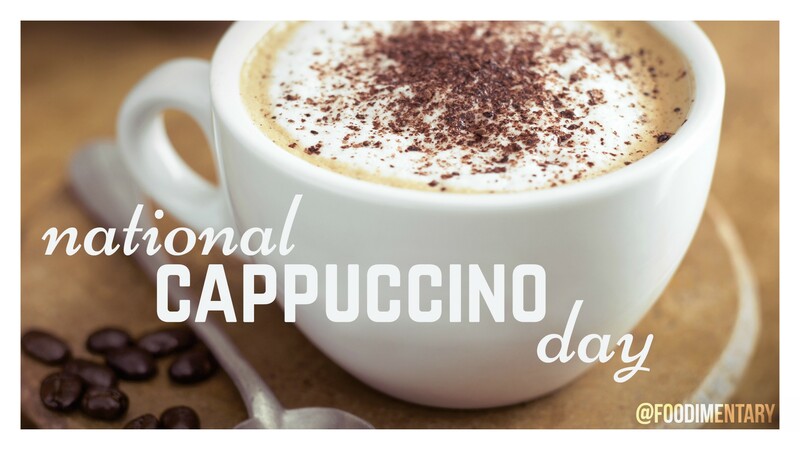 November 8th is National Cappuccino Day! Cappuccino was invented in Italy. It was first patented by a man named Luigi Bezzera in 1901. In Italy, cappuccino is traditionally consumed once a day with breakfast. The steamed foam served with capuccino serves as an insulator and allows the liquid to retain its heat for a longer period of time. Capuccino is rumored to have been named after Marco d’Aviano: a friar who led the resistance to the Turkish seige of Vienna in 1683. This rumor has not been supported by any historical evidence. 1789 Elijah Craig distilled the first bourbon whiskey from corn, in Bourbon County, Kentucky. 1910 This is one for those who think the electric insect ‘zapper is a relatively new device. A patent for the first electric insect ‘zapper’ was issued to William H. Frost of Spokane, Washington. 1974 London’s famous flower and vegetable market moves from Covent Garden.